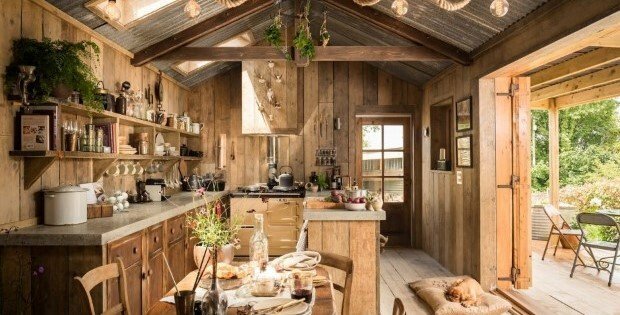 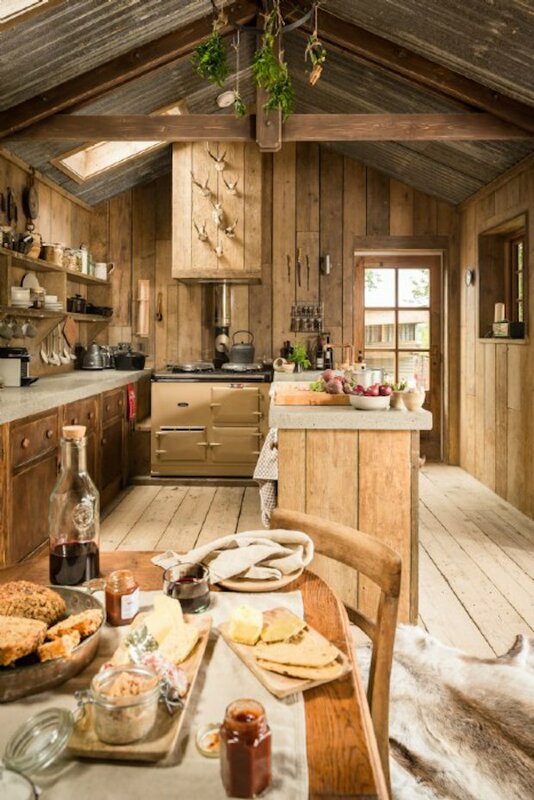 Converted from an old workshop space, the timber-clad woodcutter’s cabin exudes a quaint rustic charm of country lanes and simple cottage living of the olden days. 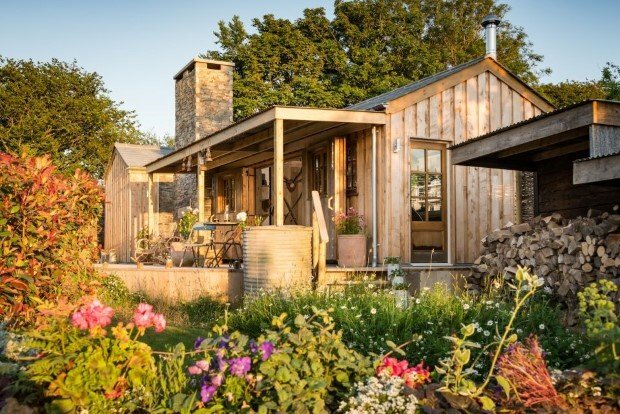 Tucked away at a tiny rural town of Trebudannon in Cornwall, Firefly is the perfect retreat for couples who want a quiet getaway from city-life, curl up on a velvet sofa by the fireplace and sip tea. 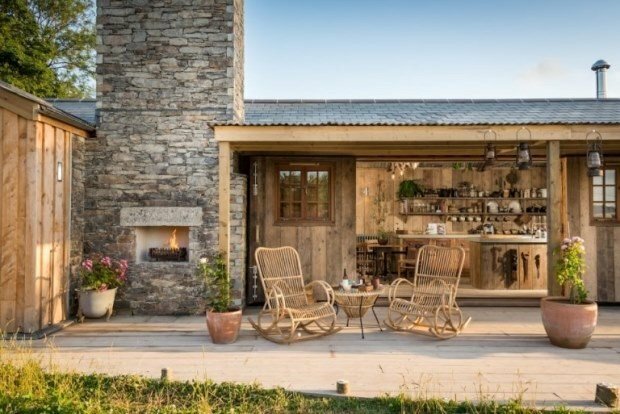 In the main living space, the palate of natural wood and stone finishes harmonizes immaculately with earthy tones and soft hues, giving an overarching sense of calm and serenity. 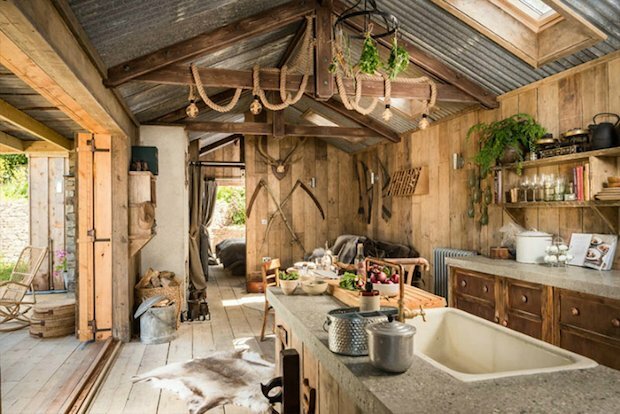 The en-suite bathroom on the other hand is enclosed with tin panel walls reminiscent of the old workshop space and even has a copper “rain shower,” and vintage brass taps for a touch of modern luxury living within the modest shack. 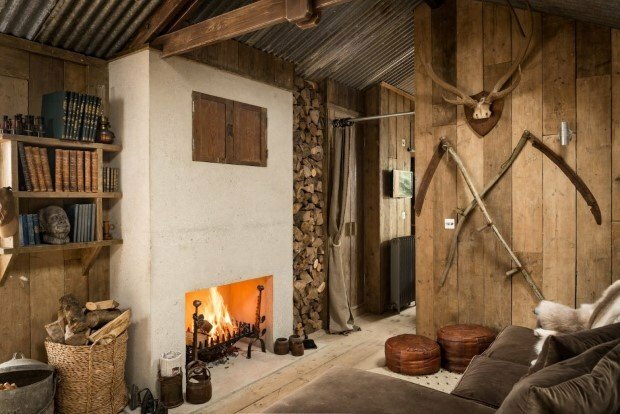 Take a look through these photos and tell us what you think on our Facebook Page!